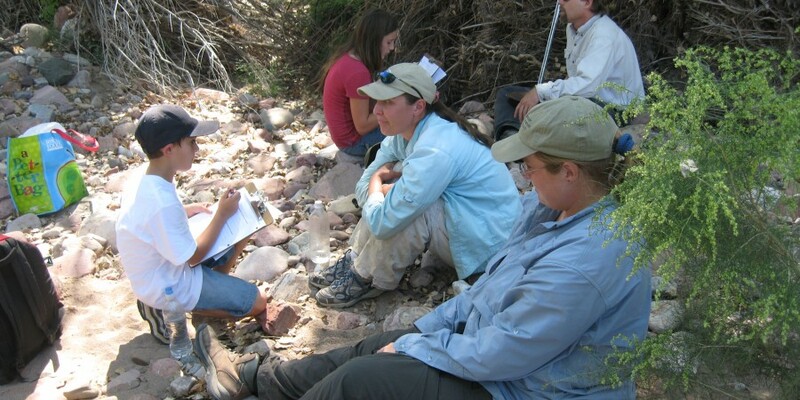 This is a Student interviewing scientists, and is included in the research team of scientists doing a survey of water allocation effects on animals and plants of Cherry Creek. Ms. Katherine Marvin then organized her entire class to participate at Seven Springs in the Tonto Forest with National Forests Rangers, and Scienctist, to cooperative learn about Fish, Birds, Plants, Soils and Animals, and Forestry This colaberation opened the whole outdoors to students so they gain insight from actual scientists that are leaders in their fields of study. This was an even that has been include for 3 years. Katherine Marvin will be working for Whispering Wind Academy in Paradise Valley (Foothills Elementary closed) Before the event was scheduled Ms. Marvin developed cooperation with ASU, U of A, SRP, Project WET, and the National Forest Service to continue to bring students and experts into a learning environment unlike any other. (There are many other pictures and videos of these yearly events) and Ms. Marvin is proud to say her students excell in STEM activites due to these colaberations.